RIDE VS ONE is raising money to build a school for the rural Ethiopian community of Tule Ade. The community of 3,578 people is located in Oromia's Bale Zone. The community as 757 children who should be in early childhood or primary school. Only 53% are enrolled. 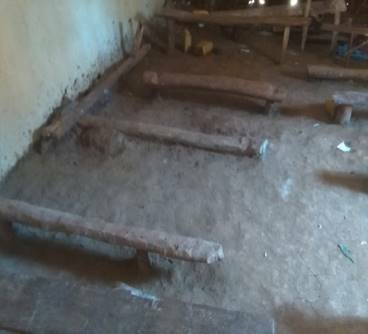 For those students that do attend, their school is in terrible condition. 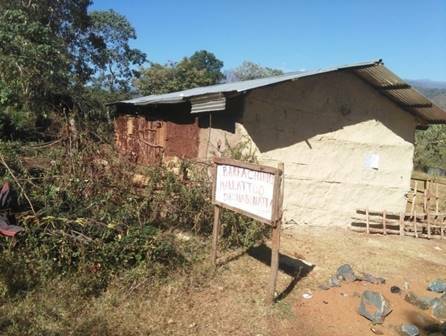 Classrooms are made of crumbling mud or are simply iron sheets propped up on sticks. There are only enough desks for less than 20% of children. There is no early childhood education, playground, water and no latrine. The poor learning environment has a huge impact on education. Students enrolled only attend 66% of the time, and because there are no facilities to support the second cycle of primary school (grade 5-8), there is an incredibly high dropout rate before Grade 5. That’s the equivalent of you ending school at 10 years old. Only 21% of students enrolled can read to the national standard or above. imagine1day will start a three-year project to build a new school, upskill teachers and unlock new opportunities for the village through education. They will build four new primary school classrooms, an early childhood education classroom, a library, gender-segregated latrines and playground. They will provide books, stationary, science equipment and sports kits. And imagine1day will provide teacher capacity building and community leadership development training. The cost of building a school is $139,872. The imagine1day team ventures into some of the most remote areas of Ethiopia and creates the possibility of an entirely new future. The community commits to two things: 1) Every child attends the school; and 2) Raising $10,000 as a community to have skin in the game. The 2016 RIDE VS ONE will fulfill the Tule Ade project. Our rock star team of education experts travel to the most remote communities in rural Ethiopia to implement our projects hands on. As direct implementers, we’re able to track every dollar we spend and measure the result of each donation we receive. WE DON'T JUST BUILD SCHOOLS. WE CREATE FUTURES. imagine1day didn’t start because we saw a problem – we got to work because we were inspired by a nation ready for prosperity. Working within the public education system, we align each of our projects with Ethiopia’s current and long term education priorities, fitting perfectly with their vision of a future where all children have the chance to go to school. OUR PROGRAMS GIVE ALL CHILDREN ACCESS TO EDUCATION. We don’t believe in quick fix or band-aid solutions; our approach runs deeper than the bricks we lay or the books we supply. Don’t just take our word for it, join us on a journey to discover how we’re working with our partners to achieve our goals. Get more information about the charity @ www.imagine1day.org. 100% of the money raised for RIDE VS ONE benefits Tule Ade in Ethiopia.